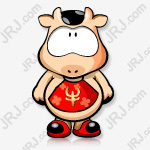 February 11th is the first trading day of the A-share market in the Year of the Pig. Based on the analysis of various brokers, it is believed that there are not a few in the spring market. “Our overall judgment remains optimistic and positive, and enjoys the “Wangchun Quotes”.”Industrial SecuritiesThe Wang Delun team believes that from the perspective of the global market, the overall external stability is stable, and the probability of A-share sentiment being suppressed is small. The Sino-US trade process is expected to increase the risk appetite of the A-share market. Previously, Wang Delun’s team put forward the idea of ​​“global reconstruction” and believed that “global restructuring” is not a simple foreign capital inflow and joining MSCI, but a reconfiguration of global assets, which is a shift in the allocation of developed and emerging markets. 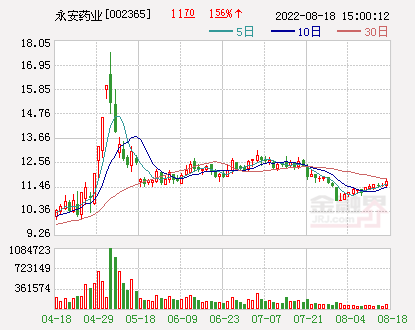 On the domestic front, the “Lei” performance of goodwill was suspended, the economic downturn was expected to gradually react, the reform continued, “China Reconstruction” was taking place, risk appetite and valuation continued to increase. Shen Wanhongyuan(Hong Kong stocks 00218) Fu Jingtao, senior analyst of securities strategy, proposed "waiting for the spring market 2.0". He believes that the spring market may be divided into two stages, "Spring Quotes 1.0" has been debuted, after a little rest, "Spring Quotes 2.0" can still be expected, patiently waiting for some actual improvement. Fu Jingtao said that "Spring Quotes 1.0" mainly relies on the support of reform expectations, while "Spring Quotes 2.0" needs to wait for some actual improvement to fulfill the catalysis. The foundation of the spring market is still steadily consolidating, and there is a good process of reforming the promotion and improving the liquidity environment. Fu Jingtao also said that institutional investors have not been blindly optimistic. In this regard, he further explained: According to estimates, stock-type public fund positions have declined before the Spring Festival. In history, institutional investors’ participation in the spring market is usually not “one-off,” but “two degrees”. “We have re-opened the public fund positions in 2005, 2008, 2011, 2012 and 2018 (the years when several A-share markets were weak) and found that institutional investors have two increases in the spring market. Warehouse.” Fu Jingtao said that investors usually avoid the verification period, but they will do more tactical positions before and after the verification period. The verification period of the spring market in 2019 is at the end of February and early March, and the verification period is approaching after the Spring Festival. Institutional investors are waiting for the catalyzed cashing (or short-selling) to re-accumulate, which is also conducive to the "Spring Quotes 2.0". A share has no room to fall again. 5G sector has become the institution "Xiangxiang"